Recently, the Washington Post reported on a new approach to addressing the several hundred thousand military members that suffer from post-traumatic stress disorder (PTSD). PTSD comes with a host of distressing mental issues such as anxiety, depression, anger, nightmares and flashbacks. Traditionally these have been treated with a combination of drugs and behavioral therapy – but for many who suffer, these methods don’t work and medications come with a long list of side effects. Stanley is not the only one. Other studies have found that while medications like anti-depressants address some of the symptoms, it doesn’t get to the root of the problem and as soon as the sufferer stops taking the medication, they often relapse. Meditation, on the other hand, comes without side effects and is a skill that can be used to address many mental disorders for life. By focusing on a single thing that is happening right at that moment like breathing for a set period of time, preferably 15-20 minutes although shorter periods can be beneficial as well, has a host of physical and emotional benefits. A study published in 2010 focused on 60 Marine reservists found that after two months of daily 15-minute meditation sessions participants reported significantly lower levels of stress and anxiety. It also made the soldiers smarter by improving their ability to retain new information. Initially, all of the military members were skeptical and thought meditation would be a waste of time, but after experiencing major difficulties in relationships, insomnia, turning to drinking and other problems associated with PTSD, they were willing to give anything a shot. Now, many of those same Marines consider meditation a lifesaver. While it’s easy to pop that little pill, the act of focused breathing is not much more difficult. It’s free and comes without the over 1,500 side effects that have been cataloged for SSRIs that can often be worse than the original problem itself. Next articleEnergy Drinks Aren’t Healthy, But Are They Fatal? 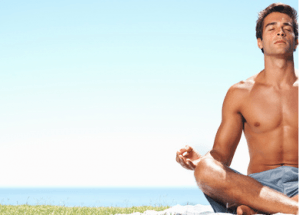 Hey Buddy!, I found this information for you: "Meditation Over Medication? Why It May Be Better For Mental Health". Here is the website link: https://www.thealternativedaily.com/meditation-over-medication-why-it-may-be-better-for-mental-health/. Thank you.